A total solar eclipse dubbed the "Great American Eclipse" is passing over the country from the Pacific to the Atlantic on Aug. 21 for the first time in 99 years and school districts across several states are getting ready. To help educators who are using the opportunity as a teaching moment, Discovery Education today released free educational resources that can be integrated into lessons. Teachers and students nationwide now have access, at no cost, to multimedia resources that include “pictures and videos explaining what actually occurs during an eclipse,” as well as “a map detailing the 2017 Great American Eclipse’s march across North America,” according to information from the company. Other “special collection” resources have been added to the digital textbooks "Discovery Education Streaming Plus" and "Discovery Education Science Techbook," the company said. 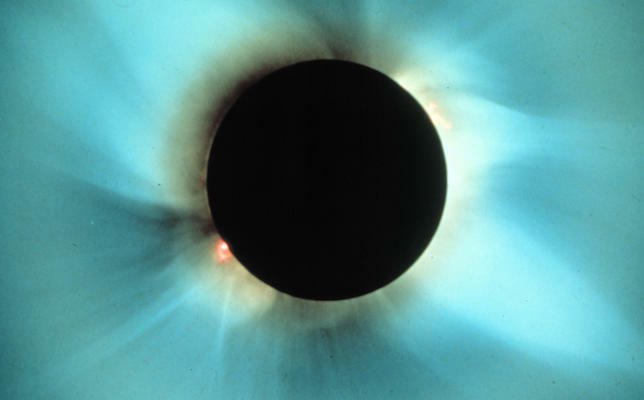 Discovery Ed is offering a free 60-day trial to explore the Solar Eclipse Content Collection. For those who won’t be able to see the Great American Eclipse in real life (since its path of totality only covers about a dozen states), the company plans to livestream the eclipse from 1:17 p.m. to 1:23 p.m. Discovery Ed is encouraging participants to join the live Twitter chat happening between noon and 2 p.m. with @DiscoveryEd using the hashtags #CelebrateWithDE and #GreatAmericanEclipse. The live chat will feature Jeffrey Hall, an astronomer, astrophysicist and director of the nonprofit research institution Lowell Observatory. Resources are free and available at www.discoveryeducation.com/GreatAmericanEclipse.